It's the Luggage Sale in all branches of The SM Store nationwide! Check it out until February 28, 2018. 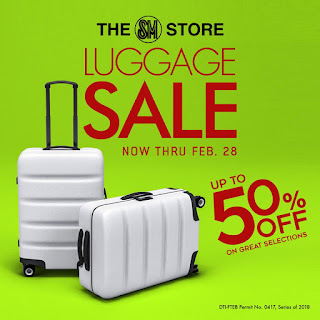 Enjoy up to 50% OFF on great selections. 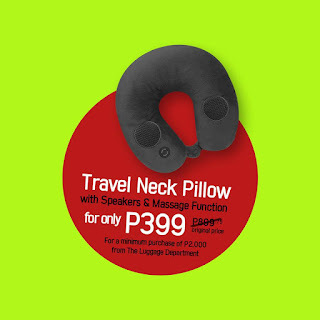 Plus...get this NECK PILLOW WITH SPEAKERS for only P399.75 for every P2,000 single-receipt purchase from the luggage department.